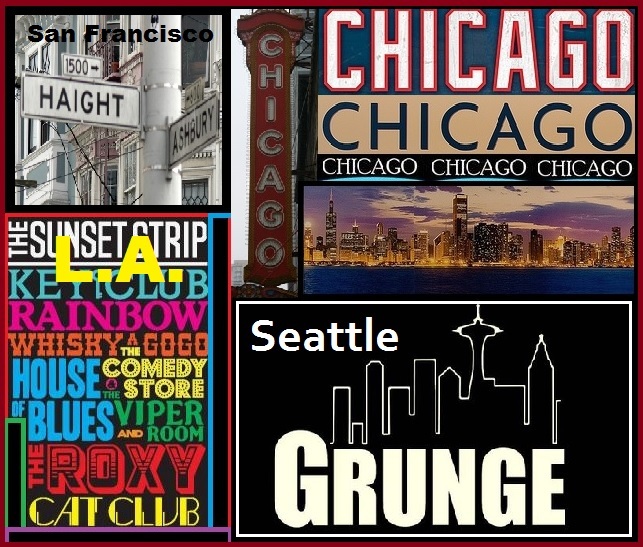 San Francisco – The Haight-Ashbury District of the 1960’s was an area rich in music forever to be associated with the decade’s Summer of Love and Hippie/Psychedelic culture. The Bay area independent music scene has given rise more recently to music centered around its Mission District, home to several alternative bands/musicians and the exciting and amazingly cool music listening rooms and clubs. L.A. – Many areas of the city have seen a variety of music scenes with young inspiring bands & musicians making their way up and down the Sunset Strip in hopes of becoming the next ‘big thing’. For decades, various places within the city have seen music scenes come and go with many flourishing. Chicago – The Windy City has always been home to countless independent record labels and a host of incredible music venues. The list of bands to first achieve huge followings are numerous. Smashing Pumpkins, Cheap Trick, Urge Overkill are but a few. Chicago has no shortage of music festivals to showcase multiple independent bands/musicians. Driven by its constant enthusiasm and angst for local politics, Chicago’s musical history has deep roots and ‘a cause’ can fuel any great music scene. Seattle – We could not speak of music scenes without mentioning Seattle’ that brought us “Grunge”. Many musicians were inspired to wear flannel shirts and to form a band after hearing Nirvana for the first time. Several alternative musicians have continued to help develop Seattle’s scene in the Post-Grunge era, which makes it one of the nation’s most interesting areas for music. Naming huge cities like the four above and others like New York City, Washington, DC or Minneapolis, it’s easy to point out bright music scenes. 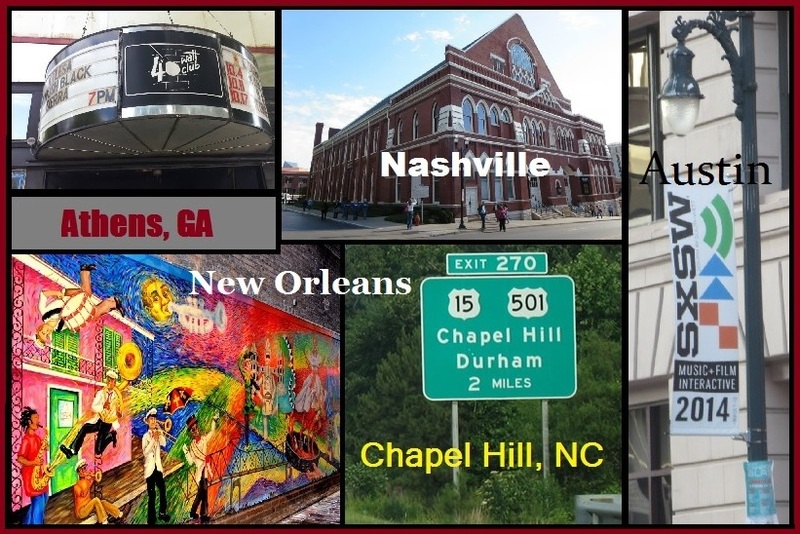 Most large cities have at least a few areas within its boundaries that have given us scenes with several different genres of music. 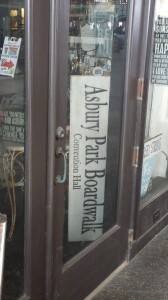 It’s a joy to visit or rediscover the music of these notable places, whether it be the Jersey shores around Asbury Park or Portland, OR, a place Slate Magazine said in 2007, was America’s indie rock mecca. Nashville – Although always being associated with Country music, it has become home to some of the best up-and-coming indie-bands around these days. (ie. Escondido, Banditos and others are favorites of “The Southland Music Line”) Nashville’s claim to being home of America’s music, has plenty of merit. Austin – The city that claims to be “The Live Music Capital of the World” has more music venues than most cities in America. Every genre of music has representation in Austin, which makes it perfect for the music industry’s annual showcase of talent, “South by Southwest”. One visit to Austin at any other time of the year besides SXSW, and visitors will find more than an ‘industry town’, as with Nashville, as there is a tremendous independent music scene with so many musicians on the highest level of talent – bar none. New Orleans – The Gumbo of America’s music, a melting pot of variety, style and genre, at the same time unique in itself. No doubt the city has magnificent Jazz, but rarely known is that it also was once home to one of America’s best punk rock scenes. Every style of music is represented within the city , making it one of the grooviest music towns to visit. Chapel Hill, NC – Its scene, which includes Raleigh and Durham has been one of the best since the 1980’s. It has brought us more music than could have been imagined. It also has long been a place where numerous ‘little known’ bands/musicians from other parts of America have frequented before hitting it big. The vibrant scene with its independent record labels and indie clubs make it one of the nation’s best and a must-visit for any fan of great music. 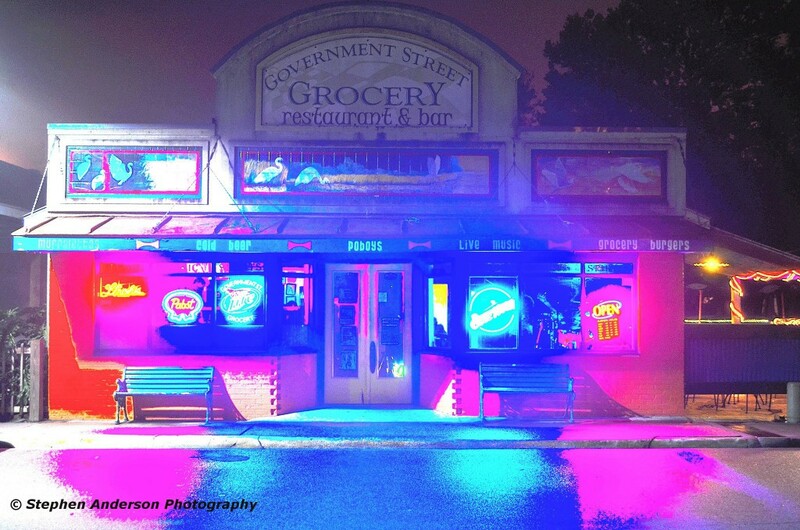 And finally, Athens, GA – A personal inspiration, this small college town during the 80’s erupted with musical activity bringing R.E.M., Pylon, the B-52s and many more. From these humble Southern roots, some of the most exciting music ever was introduced to the world. 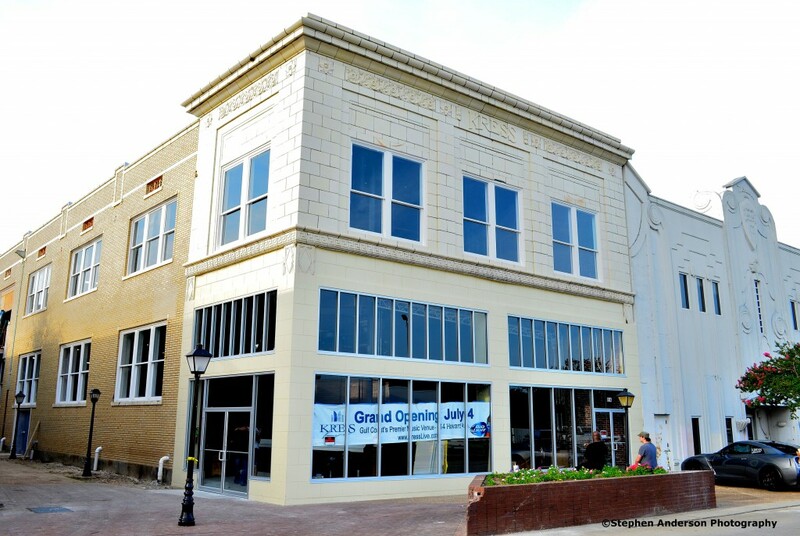 A walk down the streets of Athens now, is a walk down memory lane as every building or locale in the downtown area has some mid-80’s music story behind it. With these and several other examples we are reminded of the importance of what a “Real & Recognizable” independent music scene can do for the area and musicians. After laying the groundwork, it is now time to turn our direction to the Mississippi Gulf Coast. 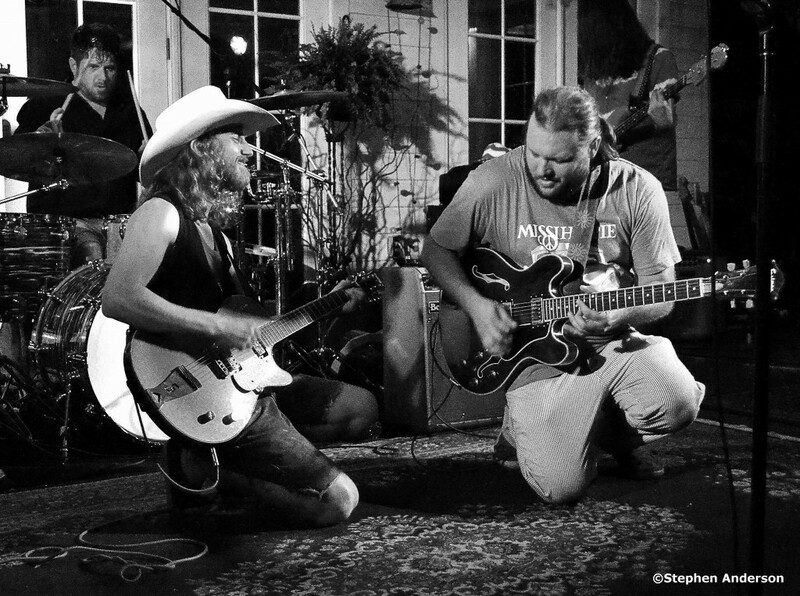 Nestled between the music powerhouse scene of New Orleans and the up-and-coming hot bed of Americana, Alt-Country and Blues, Mobile and Southern Alabama, The Mississippi Gulf Coast continues to pull talent in from both directions. 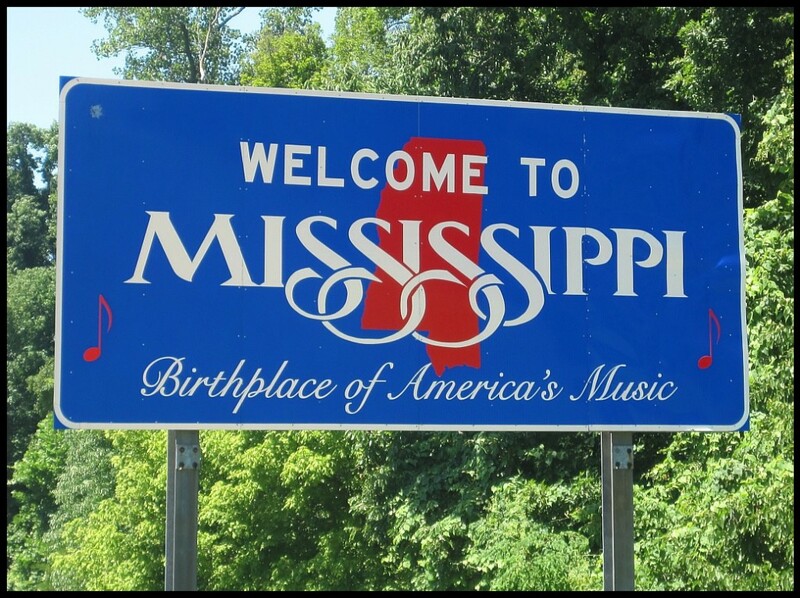 Mississippi, the state as a whole, has given birth to more great musicians and musical contributions than possibly any other U.S. state. It’s given the world two kings- The King of Rock & Roll: Elvis Presley and The King of the Blues: B.B. King. It has given us innumerable Country music greats like Jimmie Rodgers “The Father of Country Music” according to all kinds of music historians and enthusiasts; additionally an amazing list of music greats from almost every genre in music. Mississippi’s music influence on the world is formidable and lasting.
. It’s easy to credit Mississippi’s place in the history of America’s music. The Mississippi Gulf Coast has always been a crossroads of entertainment. Its connection to the music of New Orleans has always been felt, which is why New Orleans pianist Mac Rebbenac coined the phrase, “Sippiana” or “Sippianaland”, describing the cultural melt between New Orleans and the Mississippi Gulf Coast. It has also been a destination of many one-time ‘up and coming’ artists like Elvis Presley, who spent much time along the Gulf Coast shores as a young man. (Many of those stories should and will be discussed in a future article.) Then of course, Pascagoula, MS born, Jimmy Buffet, has obviously done a show or two along these coastal shores. Also in recent years, 3 Doors Down from Escatawpa, MS made its way from the Mississippi Gulf Coast to the World stage. 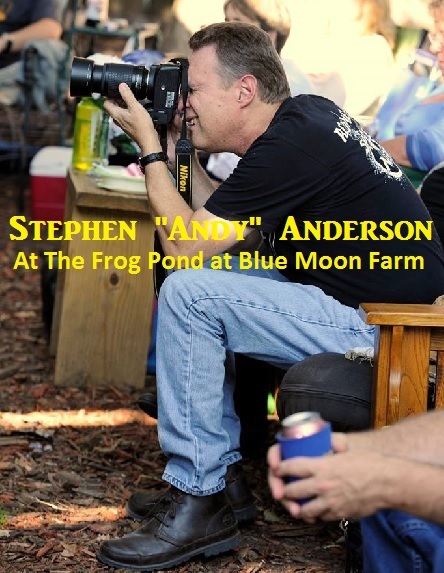 One who has lived much of his life in Mississippi and whose family roots can be traced back to the first settlers to live along these waters and barrier islands, I have always heard the cool stories of local musicians who played in the more notable venues. Places like the famous, Gus Stevens Supper Club, provided a place for many musicians to perform as they passed through the area in the 1950’s and ’60s. Many top name acts of the day made stops at such places; their stories and surrounding events are now legendary. The Line’s Stephen Anderson recalls some shows at The Vapors, Fiesta and others. I spent much of my childhood hearing stories about the music seen at places like The Vapors, a major stop off for many touring bands of the 1960’s-70’s. The Mississippi Gulf Coast has had one of the most interesting and notorious histories. 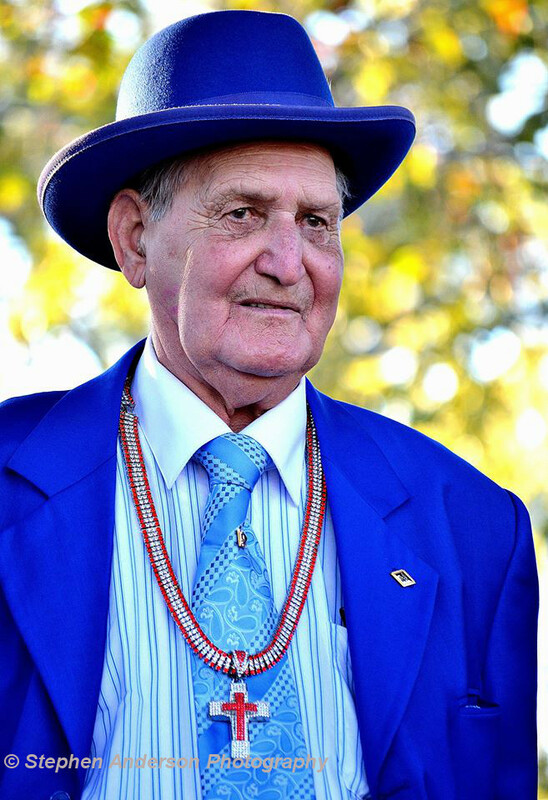 It doesn’t take long when talking to any ‘old-timer’ to learn much about its colorful past. It was one of America’s first seaside resort destinations, and came with activities that often went overlooked for years by authorities. Regardless, the place was known for a good time and myriad of the musicians from Hank Williams to Elvis Presley and countless others made their way to The Coast. Only the uninformed would say that the Mississippi Gulf Coast never has had something like ‘this or that’ when it comes to its past musical history. T oday we are seeing a growing trend of a unique blend of new music activity. Many of these musicians have grown up together or become acquainted due to a common love for music. Approximately three to four years ago, things began to take a positive and refreshed direction in becoming a “real’ music scene with its own identity. Several young musicians began to search out a direction towards something fresh and exciting. 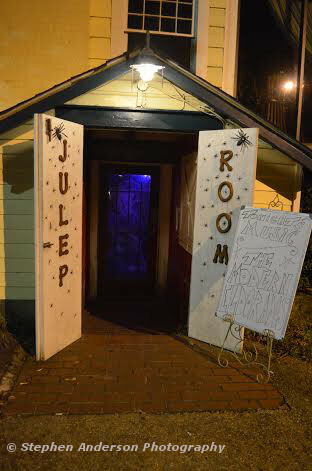 Embracing the art of songwriting and the various open mic nights around the Coast began to be more important to many. One by one, new bands began showing up performing their original songs or interesting versions of covers. 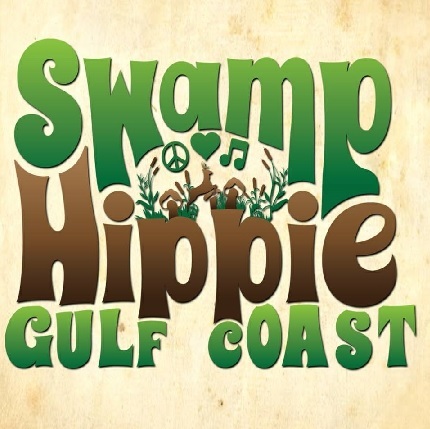 Alongside a talented cast of brilliant, experienced, accomplished songwriters and musicians from Mississippi, New Orleans and southern Alabama, a refreshing outlook began to take hold across The Mississippi Gulf Coast. 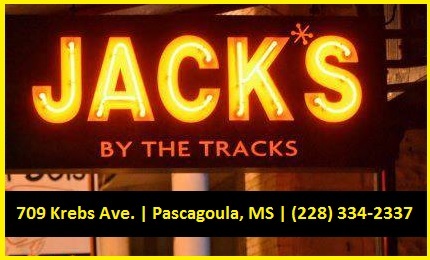 Jack’s by the Tracks has quickly become one the hottest and premier music destinations for musicians and fans alike. 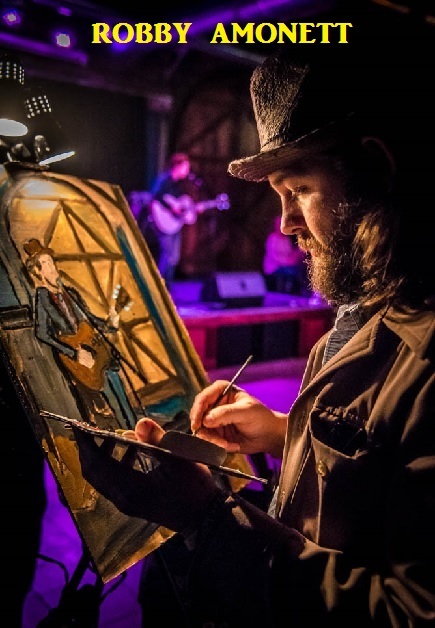 Musicians from The Mississippi Gulf Coast, Mobile and Southern Alabama, New Orleans, Nashville, Birmingham and elsewhere keep coming back to Mark Garrison’s Pascagoula, MS place that blends music, food, drink and local charm to the area. 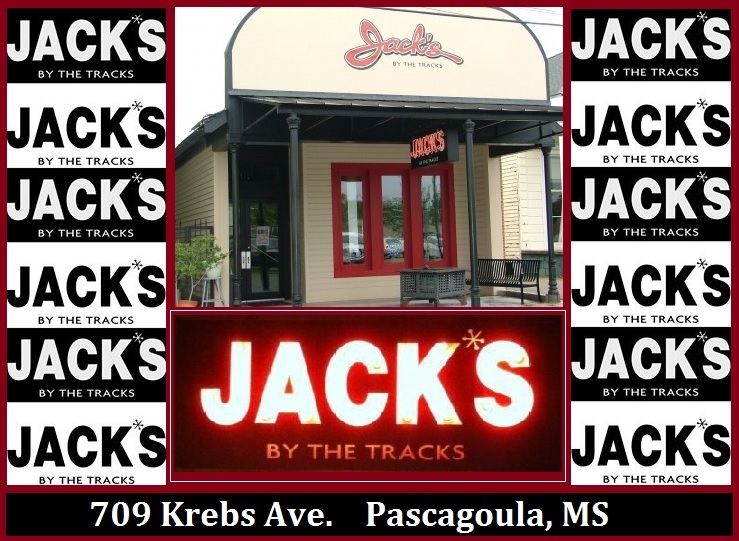 Jack’s is one of The Southland Music Line’s favorite venues in the South. It easily feels like ‘home’. Equally important to any great music scene is its music venues. Asbury Park has The Stone Pony, but beforehand had many clubs and music halls providing bands a place to perform; Athens, GA has had a number of places, almost too numerous to count, a major one being The 40 Watt Club. I can name two dozen more that help make the Athens’ music scene what it became and is still today. The Mississippi Gulf Coast’ venues are attracting both young and older musicians from all over the region. It’s tightly connected with nearby New Orleans and southern Alabama. Several venues are taking the lead in putting the music first, instead of just being a dance club only or a bar with some music playing in the background. From Bay St. Louis to Pascagoula, places like the Irish Coast Pub, The Shed BBQ & Blues Joint, The Mississippi Juke Joint (formerly Mezo’s), The Government Street Grocery, The Julep Room, Jacks by the Tracks and several others have highly promoted the music of local musicians and those traveling from New Orleans, Mobile, Nashville, Memphis, Austin and elsewhere. A walk through the doors of most every venue of any shape and size is sure to have a band performing. SEE LINKS TO PHOTO COLLECTIONS AT THE END OF THIS ARTICLE. Multiple cities around the country have spent millions of dollars to renovate large theaters and/or buildings into very nice venues to only become half of what was expected, so it’s important that Kress Live succeed, and from early reports things look very positive. The many area gambling casinos have incredible theaters for big name acts, and are enjoyed by many, but Kress Live’s main interest is ‘MUSIC ONLY’ and has a huge music-loving support system with aspirations of becoming a leader in making the Mississippi Gulf Coast a viable music scene recognized, if not nationally, most definitely regionally. 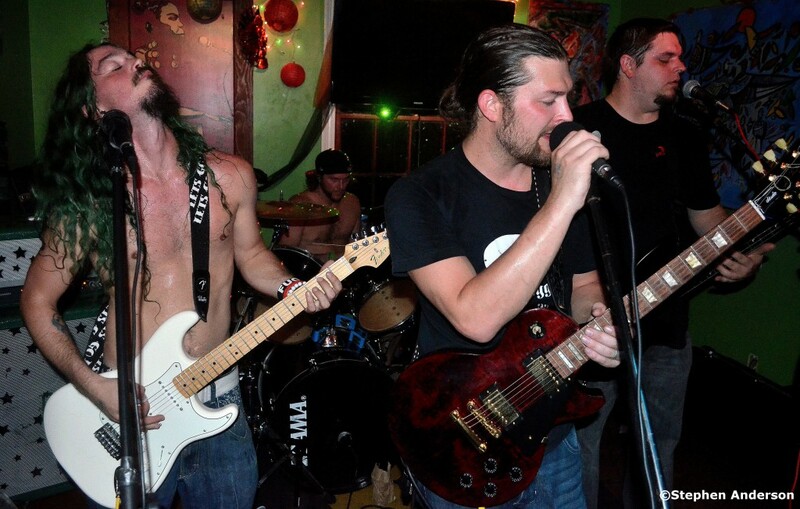 The day after the VIP opening of Kress Live, several local bands came together to perform at Lawnaroo, Part 3. Local restauranteur, Watson Nord once again put together an evening event on the front lawn of his restaurant “The Chimneys”. This is a perfect setting for an event that’s attended by musicians, their families, friends and music-loving fans. The Chimneys is located across from the beach in Gulfport, MS and is beneath a grove of huge Southern Live Oaks. 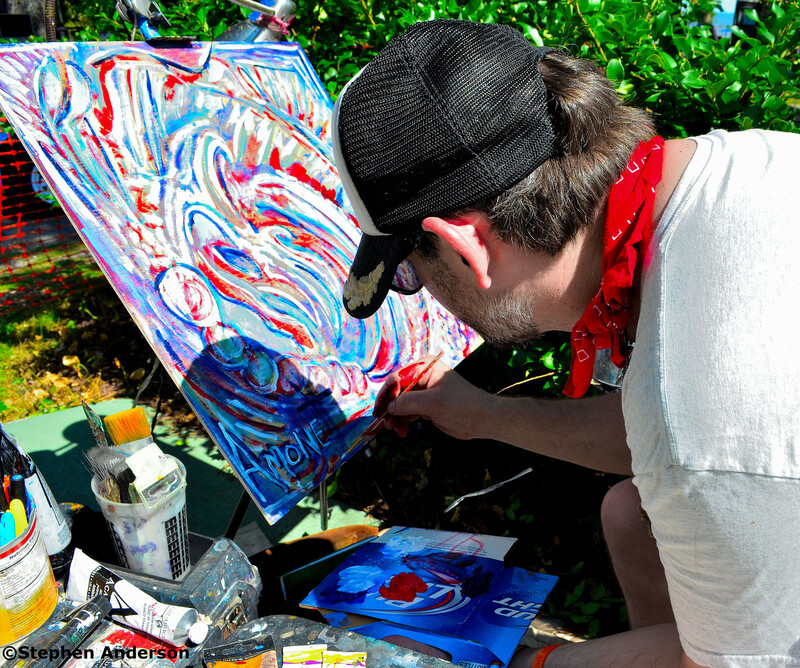 The gulf breeze and laid back atmosphere is quite special to anyone who has ever attended one of these events. 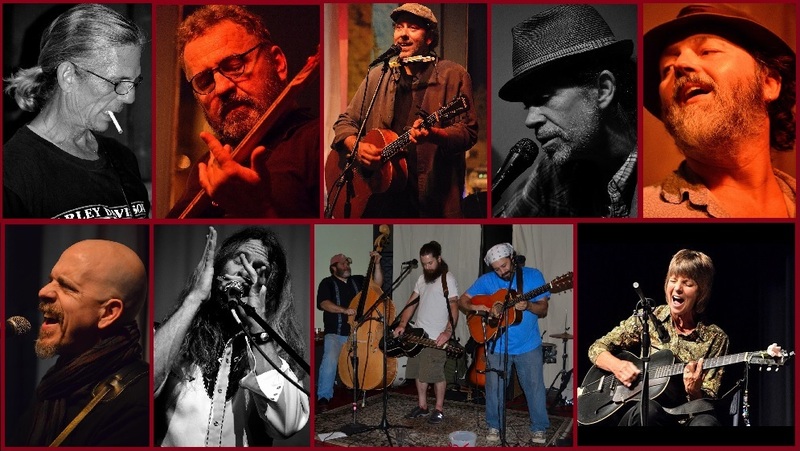 On this July 4th evening, the music was provided by Della, Yard Child, Kaboom, Brooks Hubbert & Sirus Face, Rosco Bandana and finally, The Eves. As night fell, the city of Gulfport’s huge 4th of July fireworks exploded over the Mississippi waters of the Gulf with a perfect view from The Chimney’s location. As with the previous Lawnaroo, a unique light show provided by JG Lighting and Sound Design accompanied the music of those bands who played during the night time hours. Music, friends, family, fireworks, light shows and relaxation made this a nice evening for all in attendance. 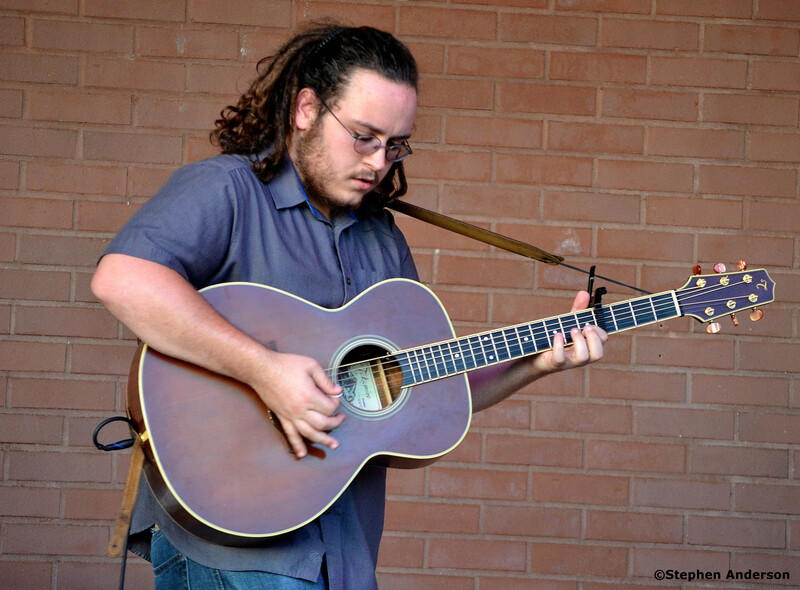 Plus, it was a perfect way to showcase several talented local musicians and many on a short hiatus from touring. 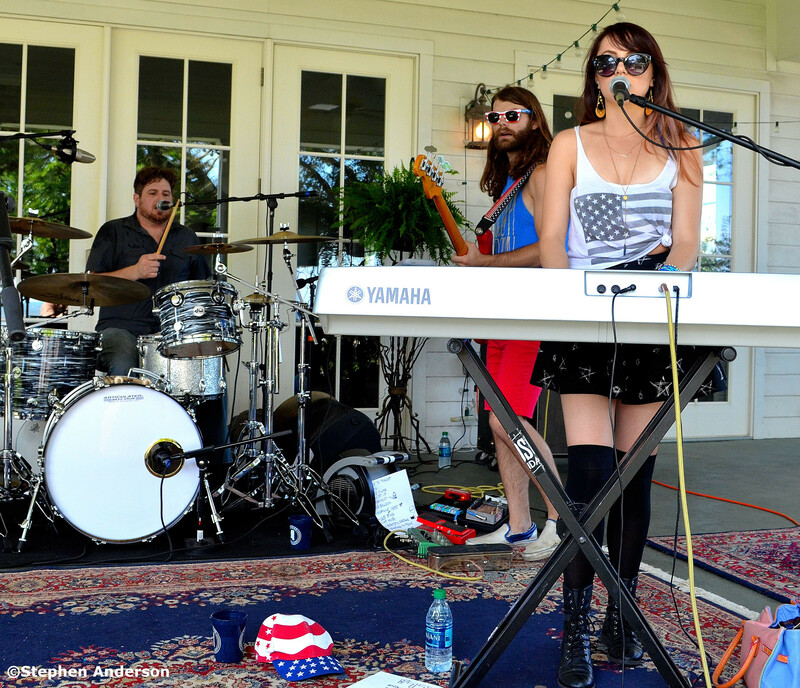 Della (formerly known as Della Memoria) performing at Lawnaroo, Part 3 in Gulfport, MS (July 4th, 2014). From Left: Patrick McGinley, Josh Smith and Emily Sholes. 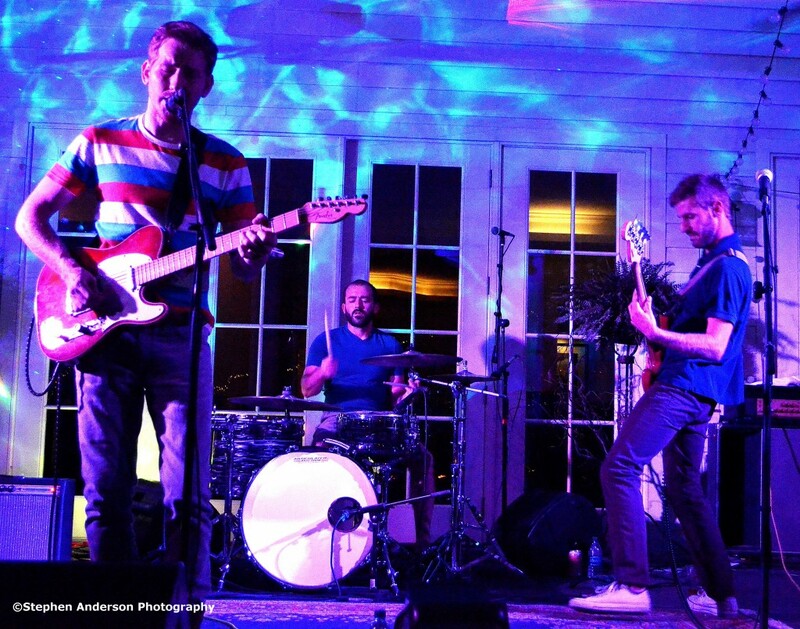 As shows and music events were in full steam around the Gulf Coast, in Ocean Springs, MS, a charity event raising money for “Feed The Need” was held at The Government Street Grocery (one of The Gulf Coast’ most popular music venues) on Sunday, July 5th. 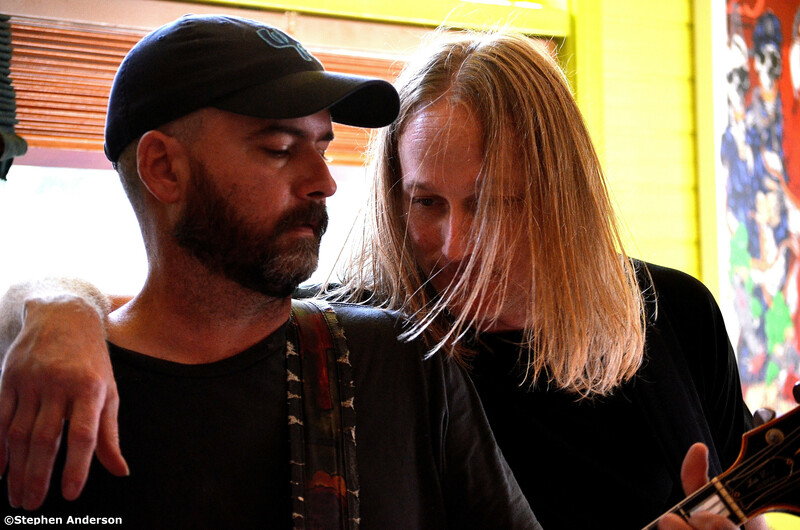 Several musicians performed including Jason Sanford and Emily Sholes of Rosco Bandana (as Em&Me), Rooster Blues, The Dig, and then Cary Hudson teaming up with Grayson Capps. Cary Hudson’s new amazing new album – “Town and Country” is among a long list of accomplishments for the gifted musician/songwriter/performer. 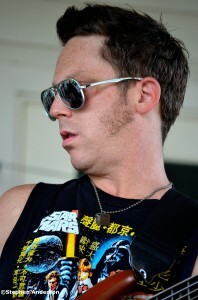 Both as a solo artist and part of bands, The Hillitops and Blue Mountain, Cary has performed all over the world. 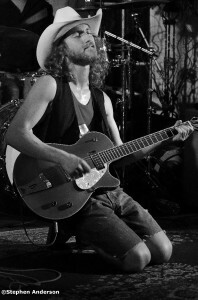 Gibson Magazine named him one of the ten best Alt-Country guitarist of all time in 2008. 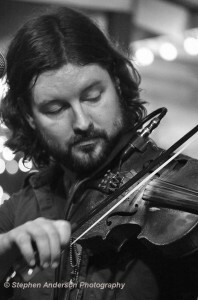 The list included such names as Patterson Hood, Mike Cooley, and Jason Isbell, Jay Farrar, Dave Rawlings, Steve Earle and Luther Perkins (The List) Performing shows with Uncle Tupelo, Wilco, Son Volt, The Jayhawks, Willie Nelson and Jason Isbell, Cary has had an interesting and full career. 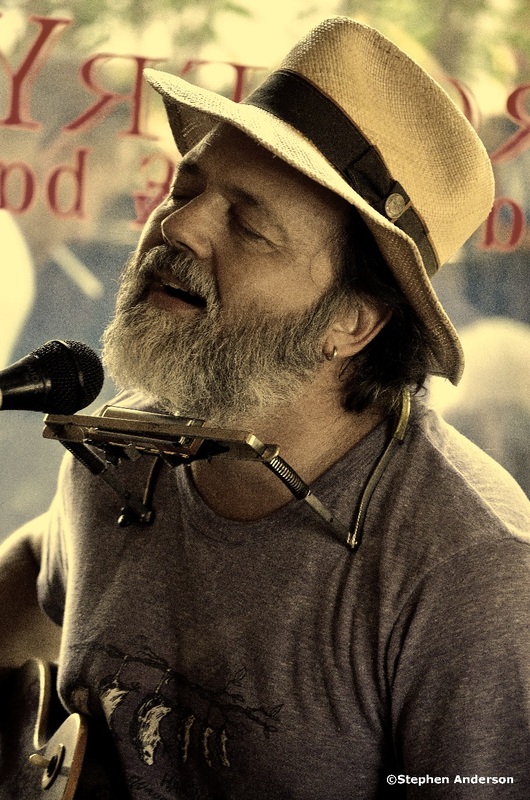 The Mississippi Gulf Coast is fortunate to have him performing at places like The Government Street Grocery, Jack’s by the Tracks and Murky Waters. For a music scene to take hold, such events are needed for a number of reasons. Most prominently is the connecting with locals and being part of the community. I have attended similar events at venues like the Eastbank Pub or The World Famous Celtic where musicians and fans wanted to give back to the community they love. 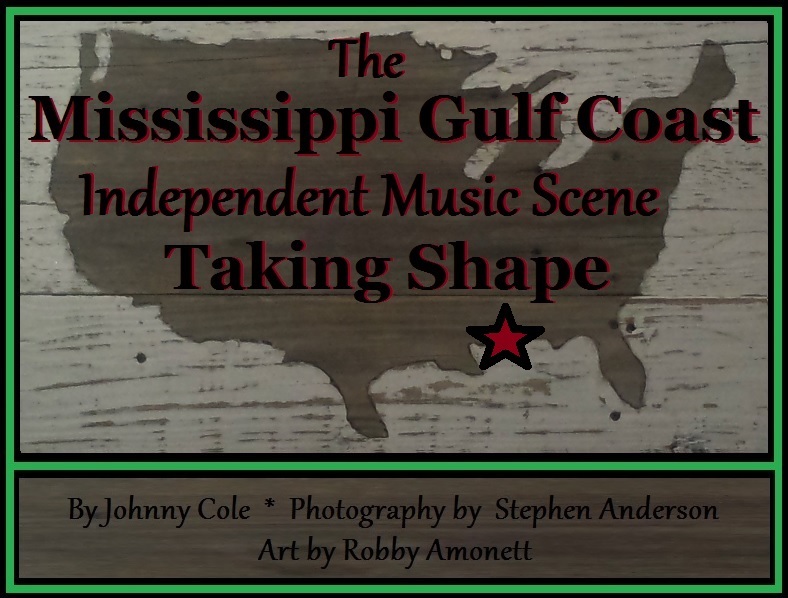 The Mississippi Gulf Coast seems to be naturally heading in the right direction with its independent music scene. All sorts of ingredients are needed for a any scene to work. First and foremost, the music! It doesn’t have to be only one genre, but a combination works fine. The venues have to be about the music. 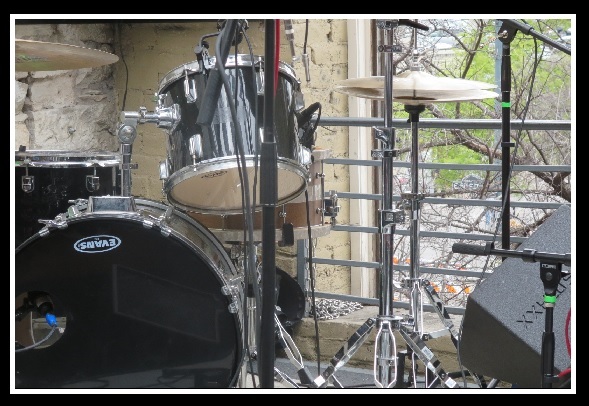 Admittedly, they are establishments that need to do a wide range of things to stay in business, but the live music should never be neglected. 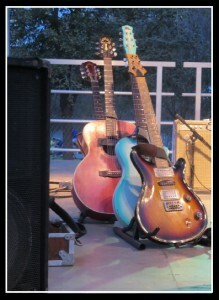 Also needed are open mic nights, songwriting competitions and showcasings, festivals of any size (often more intimate ones are better), obtainable recording studios, a connection between music and other forms of art, a willingness from musicians to make the fans who come to the shows feel a part, and when on tour, musicians should be proud of where they call home. Also, every real music scene should have a “real honest to goodness” record store – one that sells vinyl albums, one of the first things music aficionados tend to look for when entering an area known for its musical growth and appreciation. Even though some say radio is dead and local music magazines are no longer important to a scene, no question, a great college radio or independent radio station still brings much to a scene, as do magazines like The Flagpole magazine in Athens, GA. certainly considered current and influential, as well. And let us not forget the internet which has given way to a huge number of websites dedicated to various music markets around the country. Both radio and online magazines can thankfully be found online. The Mississippi Gulf Coast has many of these features (ie. successful music festivals and a variety of open mic nights), but some ‘features’ have yet to fully materialize in a good way. An example: As great as the scene is becoming, in my belief, good quality “music-listening rooms” (places designed for music listeners without the distractions customary to most kinds of venues) are needed. 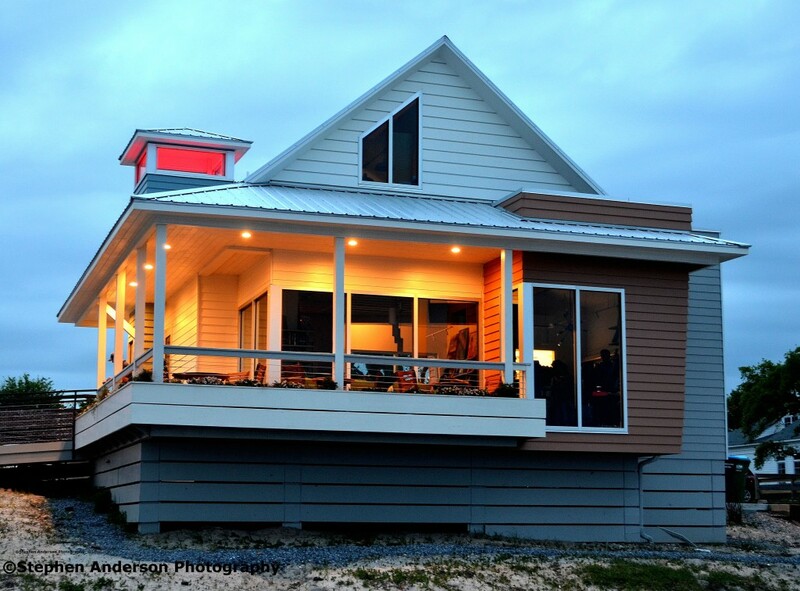 There are some along the Gulf Coast that are opening their doors to live acoustic music (ie. Cat Island Coffeehouse in Pass Christian and Sea Grapes in downtown Gulfport), but to re-emphasize, more is needed. One thing that brings people together in establishing a quality scene is a common cause. The Mississippi Gulf Coast and surrounding areas have seen things and events bring them together. Hurricane Katrina devastated the region, only to be followed by the horrific BP Oil disaster. It is my belief that related to these events, much music is being seen now. The same can be said of musicians. Some of them ‘get it’ and others are just slower at getting the understanding of how all this works. Success can be measured differently by each individual, but from anyone who has been around awhile, the knowledge that things can change overnight is more often the case than not. Here is where an area with a accomplished music scene can be a musician’s best friend. After the glitter fades and following whatever success achieved, if you don’t neglect them along the way, you’ll always have those fans at home. When Rolling Stone magazine has long forgotten you, when record label executives refuse to take your calls, when everyone under a certain age have no clue who you are, when one time friends reveal their lack of loyalty – are elements all successful musicians dread. Not every musician will become the next Neil Young or Stevie Nicks, so keeping in mind those who ‘knew you when’ can bring much happiness in times when packing out arenas and stadiums are behind you. The real fans will not forsake you and remain a fan continuously. 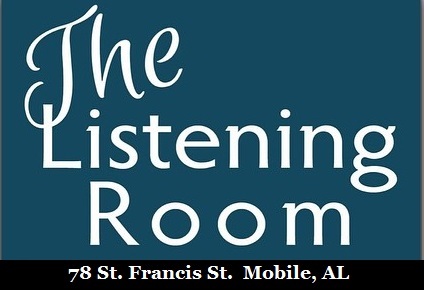 In conclusion, The Mississippi Gulf Coast and neighboring areas have several musicians who treat each and every fan the same way at all times. It is rewarding to meet such ones and call many of them friends. Is the Mississippi Gulf Coast ready to take its stand next to the likes of Athens, GA or Asbury Park, NJ? That’s to be seen. 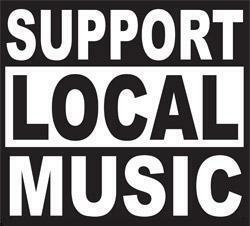 Regardless of what happens, the Gulf Coast residents can take pleasure living close to areas full and rich in music. You can find some music being performed on any given night along the Mississippi Gulf Coast, and the same can be said of southern Alabama. 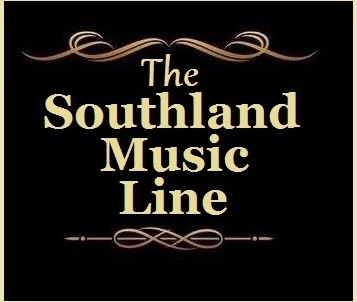 The Southland Music Line is proud of the thriving scenes along the Gulf Coast. The Mississippi Gulf Coast and Southern Mississippi is part of a fast growing market of music and musicians from the Florida Panhandle, Southern Alabama to New Orleans. Each area with its own particular scene and identity, but we are all neighbors and share the love for music. Predicting what’s to come is almost impossible, but from what is presently occurring and taking shape, it is exciting to be around so much incredible music, amazing musicians, music-loving venues and some of the most loyal fans anywhere. “Mr. 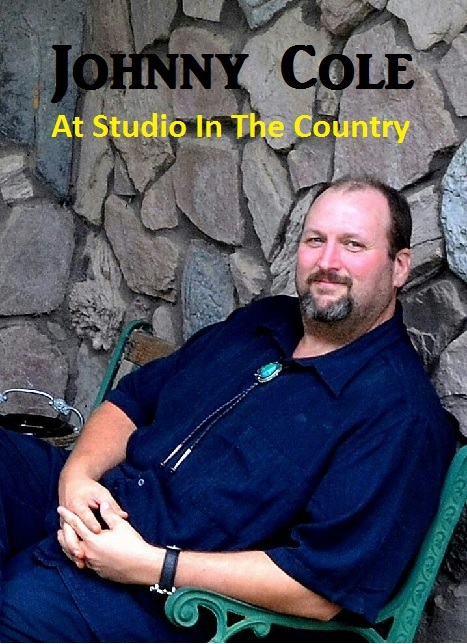 Jim” as known to friends and patrons of “The Shed BBQ & Blue Joint” at the crossroads of Interstate 10 and Hwy. 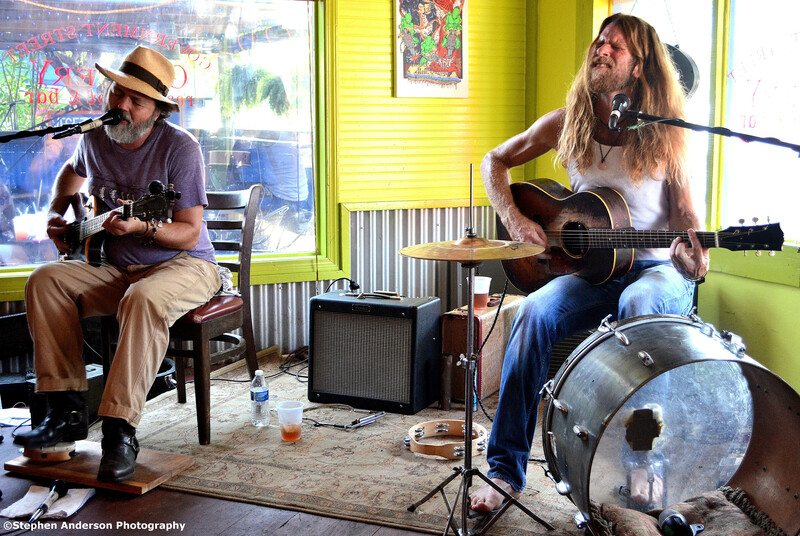 57 (a popular music venue along the Coast) has been immoratalize in the song, “Coconut Moonshine” by the entertaining Grayson Capps. 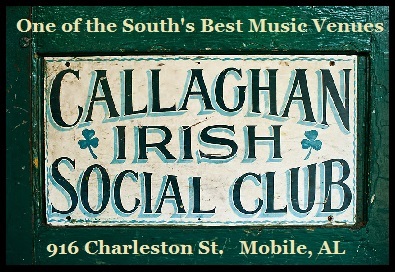 A good example of the connection between the musicians and the fans on the Gulf Coast. Follow us at: FACEBOOK & TWITTER. 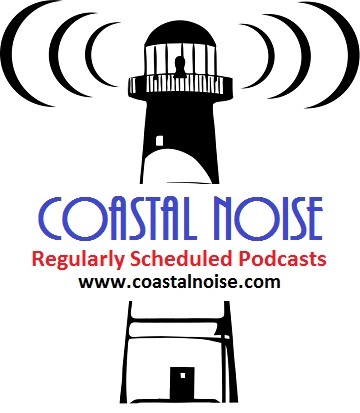 Tagged Cary Hudson, Della Memoria, Government Street Grocery, Grayson Capps, Irish Coast Pub, Jacks by the Tracks, Kress Live, Robby Amonett, Rosco Bandana, Southern Music, Southern Musicians. 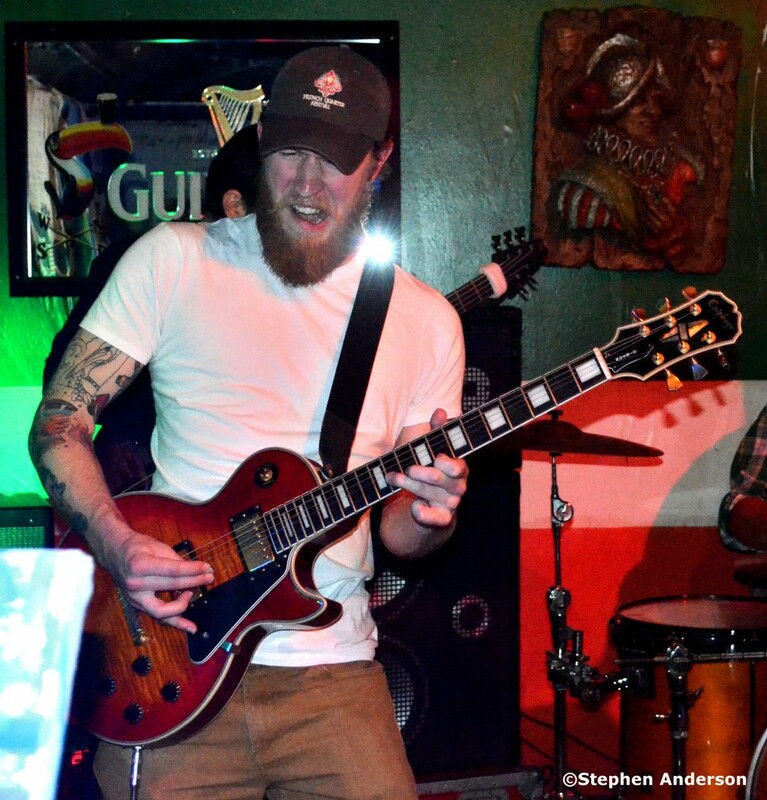 « Bantam Foxes Rock The Tavern!